Tickets: £4 (£3 concessions and Gallery Supporters) Book online, or visit the Gallery in person. Become a Member for as little as £55 and enjoy FREE, unlimited entry to all exhibitions and discounts on ticketed events. Immerse yourself in history, art and culture at our popular Lunchtime Lectures. Doors open at 12.45. Lectures begin at 13.15 and last approximately one hour. 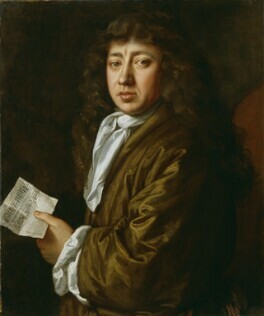 Biographer Claire Tomalin examines the last volume of Samuel Pepys’ diary. Claire Tomalin is the author of Samuel Pepys: The Unequalled Self (2002) which won the 2002 Whitbread Book of the Year award and the 2003 Samuel Pepys Award. Claire Tomalin was born Claire Delavenay in 1933 to French father and English mother. She read English at Cambridge, worked in publishing and journalism as she brought up her children, becoming Literary Editor of the New Statesman and the Sunday Times. Among her biographies are studies of Mary Wollstonecraft, Mrs Jordan, Jane Austen, Thomas Hardy, Charles Dickens and Samuel Pepys. She was a Trustee of the NPG 1992- 2002. This event is in partnership with the Samuel Pepys Club.